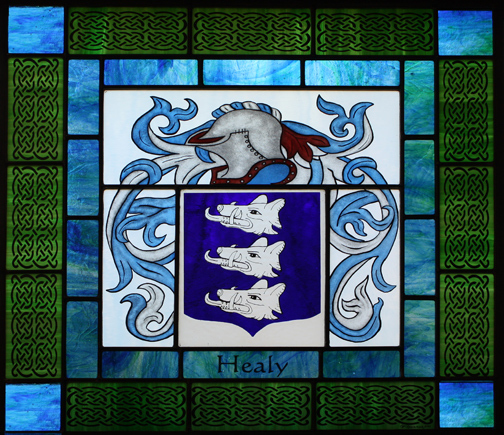 Heraldry or Family Crest work makes a beautiful family heirloom and a wonderful stained glass window. 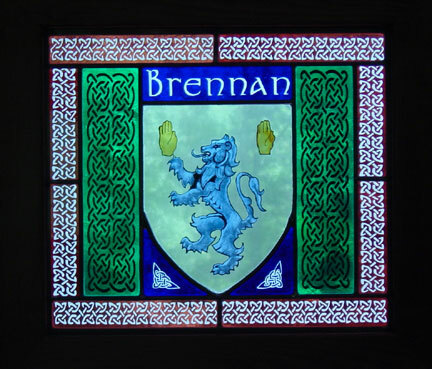 Crests can be made as a single hanging window, installed into an existing opening or used in backlit wall hanging (such as a lightbox). Below are examples of Family Crests I have made. 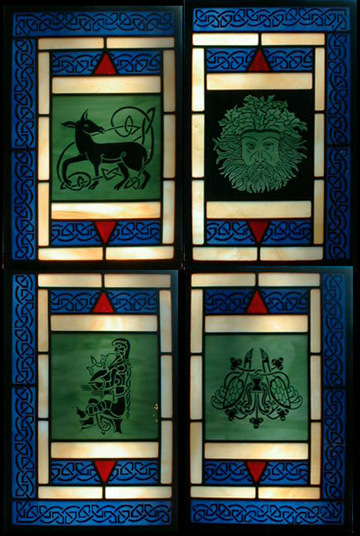 These crests are shown here to illustrate different design complexities. Some are made by sandblasting on a hand rolled "flashed "glass and then painted on to create the different colors and symbols within the crest. Some are made by silk screening with stained glass paints and then kiln fired. The silk screening technique lends itself to a more affordalbe application. The estimates are for the art work shown in each window. Some crests are more simplistic and some more intricate, and the price would be adapted to reflect this. 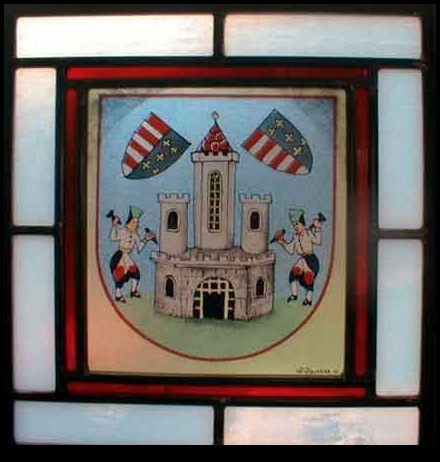 This crest is entirely hand painted on a red flashed glass that has had most of the red etched off. Silk screened crest image with an custom etched border. Combination of etching on red flashed glass and hand painting detail. Flashed blue glass, etched and hand painted. Hand painted, silk screened and etched glass techniques. Please contact me if you have any questions. My crest work is created on a commission basis. 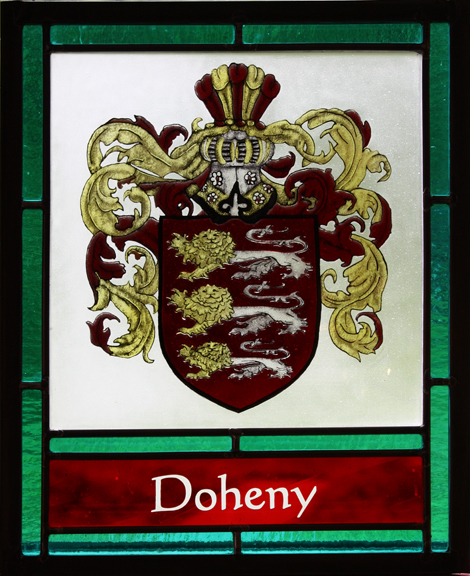 If you are interested in having your family crest made into stained glass window, please call me at 540-987-8615 or email. For a quote I would appreciate you providing me with a copy of the crest. Crests within the same family may vary, so please provide the art work that you are interested in.